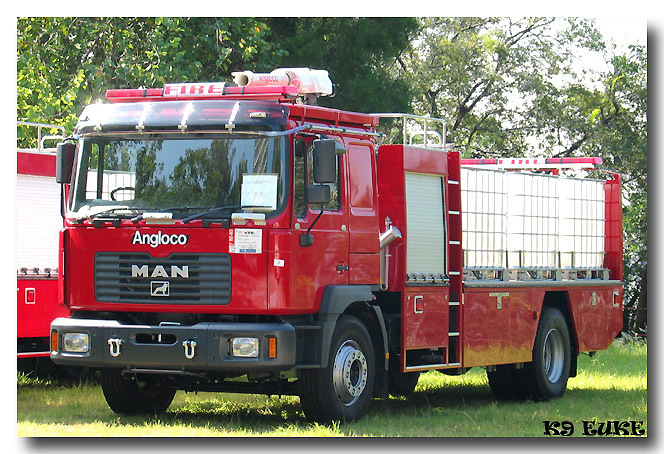 Hong Kong fire services had replaced their old DAF and Isuzu foam tender with the new MAN/Angloco foam tender. Reg no is absent as it is a 'new comer'. The collapsible tank at the body is used to store foam. Turret is joystick controlled. Hi K9! It´s not a collapsible tank! It´s 1000 litres IBC tanks! IBC=Internationel Bulk Contanier! Added by Anders Fallström on 11 November 2014.